Our company became one of the go-to companies in residential siding renovation market. We provide honest and complimentary consultation, affordable pricing, friendly and professional approach to our services and high quality installation. Our company (Boss Complete Exteriors) is a group of experienced and reliable siding contractors operating in Calgary, AB. If you are looking for siding or roofing repair, just contact us by phone or by email and we will provide with a free quote and on-site consultation. There is no doubt that you consider your home to be a castle, and our job is to enhance the elegance and value of your home by adding high quality exterior that doesn’t require much maintenance. We always ensure that quality of the work we deliver is the best so that you get the best siding that can be found anywhere around. In addition to quality, we offer an amazingly courteous staff and customer service. 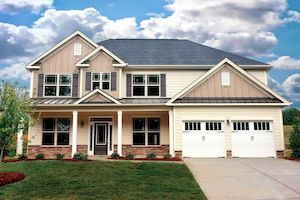 Our team consists of specialists in the field of Exterior Siding that have vast experience in fiber-cement (James Hardie) siding, vinyl siding, cedar siding, aluminium siding and installation of all types of wood siding. Our company offers a full range of services for our commercial and residential clients in and around Calgary, AB with the best quality craftsmanship and services. 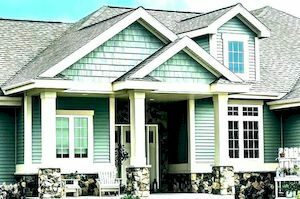 You could be in the market searching for siding services for your new home or you may want replace or repair damage siding of your old house – with us you would have hundreds of siding choices to select from so that you can find something that suits best to your budget and requirements, whether you want to choose different colours or materials. We is the leading exterior siding contractor in Alberta. We have established our name for offering high quality siding work ranging from smaller vinyl siding to renovations in cedar siding to installation of Hardie Plank siding for newly constructed buildings. All our clients who have had just tested our work made us their favourite contractor for all their projects in the future. What advantages would you enjoy when you hire our services? Here is a list. 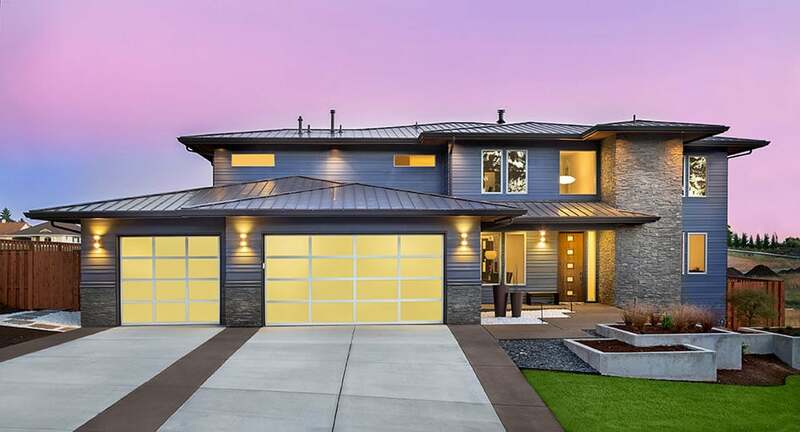 We are one of the biggest names in the installation of exterior siding around Calgary, with projects handled including the largest projects, private home renovations and commercial installations. 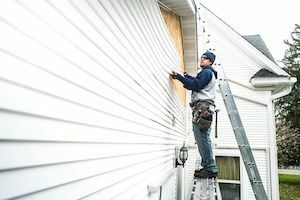 Our multiple crews have vast experience in the installation of a variety of siding including hardie siding, vinyl siding and cedar siding, having participated in innumerable construction projects. We have successfully supplied and installed exterior siding products for both renovations and new projects. Whether we are dealing with the sing-family-house market, the condos market or the multi-family town-house market, our team is always on schedule. Our vast experience in siding installation and services related to the industry always come of great help in handling the needs of both exterior renovation and new construction sectors. 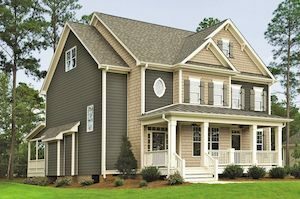 You can remain assured that your siding would be installed professionally and completed in the given time schedule within your budget. We offer all the products in a wide range of colours to meet the requirements of any type of application. If you are searching for high quality, low-maintenance exterior siding, you should come to our company. 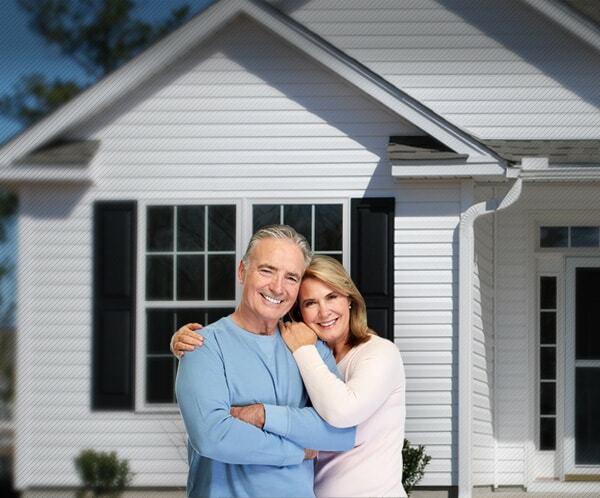 Our Fiber-Cement Siding and Vinyl Siding products and services would help enhance the beauty and equity of your home. In addition to replacement high quality exterior construction products from the most reputed manufacturers, we also offer expert suggestions on the ideal material for specific projects. Our team has vast experience and they are proud of their craftsmanship quality. – Whenever you are in need of house siding repair in Calgary, our customer service staff would respond immediately to address your needs. When you work with us, you can remain assured that you are going to get the best quality materials along with high-end services. We are the specialists in both exterior renovations and new constructions. Our team is specialized in roofing, siding, exteriors, eavestroughs, soffit, fascia and more. However, our vast experience makes us the experts for different types of siding replacement in commercial projects. In addition to the experienced staff, we have all the essential equipment. We hired this company to remove and replace our old, worn-out siding. The General Manager, Zeke, was friendly and personable. He helped us look at all of our options and made recommendations on the materials that would best fit our needs. We took a while to decide on the products we would use, but the company was very patient about it. Once we had made up our minds, Zeke ordered the materials and sent out his crew to start in on demolition. The process was somewhat lengthy, but the crew was never a bother. The site was cleaned up every day, and we really liked the people who were working here. Zeke, the manager, made sure we had all of the information about the different types of siding and their pros and cons. He was also straightforward about pricing for each. Working together, and within my limited budget, we decided that it would be best to replace two of the exterior walls now, and replace the rest in a few years. I would gladly recommend this company to anyone. "Thanks so much, Calgary Siding!" The last time the siding on our house was replaced was over 35 years ago. The exterior was in dire need of replacement. I called around to a number of contractors and wound up with four different quotes. The company gave me the best price. They were quick and efficient with their work, and their installation of our new Hardie siding was flawless. I don’t know how they were able to give me such a good deal. We could not have chosen a better company to work with on our home renovation project. Zeke was absolutely fantastic and made sure that we knew how the work was progressing at all times. Because our hose is so close to our neighbor’s, it wasn’t a simple job, but they made it look easy. Every member of the crew was friendly, and they worked hard to stay on our established timeline and within our budget. Thank you so much!